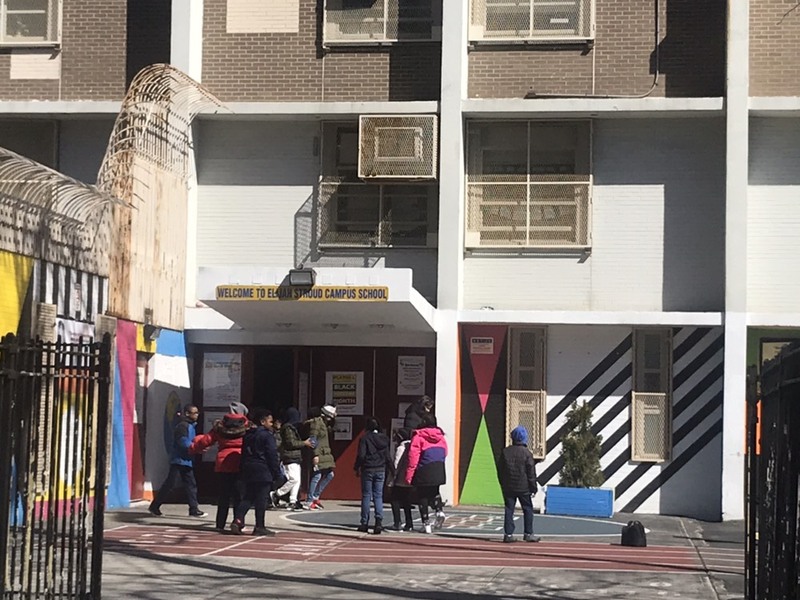 PROSPECT HEIGHTS — Police confirmed that gang-related gun incidents near Stroud Playground on Park Place, sparked two separate “shelter-ins” at a nearby school just hours apart on Friday, March 15. They apprehended two armed individuals in relation to the incidents, and ballistics from a third unrecovered gun, police say. “We would characterize that as a “shots-fired” incident, said Deputy Inspector John Buttacavoli at a 77 pct. meeting. No one was injured in the recent incidents. Parents say this is the fourth gunshot-related incident since September that has sent the school that is home to both P.S. 316 (Elijah G. Stroud Elementary School) and M.S. 353 to “shelter-in”. On Friday, March 15, school safety agents locked down the building at 750 Classon Ave. and Sterling Pl. just after 3:00 p.m. when shots rang out near the adjacent Stroud Playground. Three hours later, during a PTA bake sale for P.S. 316, authorities, once again, locked down the school’s exits. A week later, on March 22, officials sheltered-in students because of suspected gunshots again. Parents are and neighbors are concerned. The schools that educate about 600 students use the adjacent playground daily for recess. 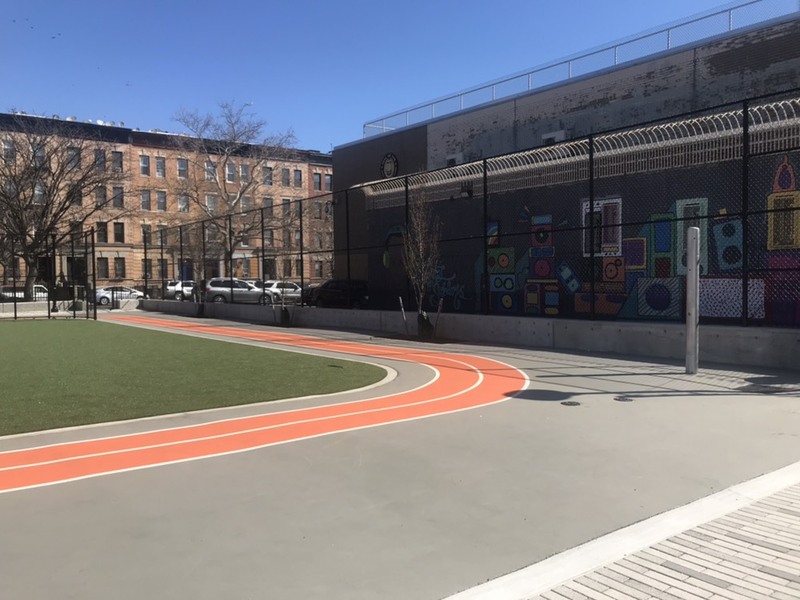 The 1.19-acre playground is equipped with a large colorful jungle gym, swing set, basketball courts, a small track, workout area, and handball courts. 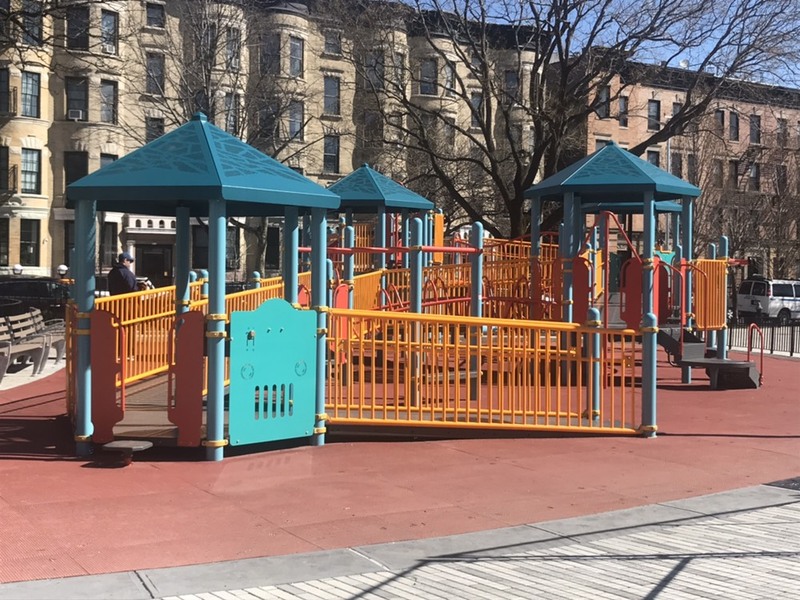 The newly-renovated playground opened mid-February after a year-and-a-half-overhaul. Mayor de Blasio and Councilmember Laurie Cumbo funded the $5 million project. In 1985, Parks officials named the playground for Patrolman Elijah Stroud who was shot in the line of duty in 1972. Neighbors complain residents abuse park privileges by smoking marijuana and drinking alcohol inside the playground. 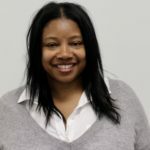 Samantha Bernadine, Founder of Friends of Stroud said she anticipated the loitering and bad actors. “A park can be rejuvenized and changed but that does not mean the attitude of people change,” said Bernadine. She along with 30 other neighbors gathered on Saturday to discuss safeguarding the playground. “Children are under attack,” said Scott Dubin, a concerned neighbor who helped rally neighbors.